Hong Kong, China | AFP | Friday 1/6/2017 – China on Friday hiked the yuan against the dollar in its biggest one-day increase since 2005, after the greenback fell against leading currencies the previous day. Markets in Asia were largely flat after a day of little change in Europe and on Wall Street, but Samsung shares were boosted as it tipped soaring profits while Toyota dipped following a threat from Donald Trump over a new vehicle plant in Mexico. The People’s Bank of China (PBoC), which has been battling to shore up the sagging yuan, fixed it at 6.8668 to the greenback, according to the China Foreign Exchange Trade System, which operates the national foreign exchange market. The 0.92 percent hike was the strongest daily increase since July 2005, and comes after the yuan recently flirted with the 7.0 to the dollar mark, a threshold not crossed in more than eight years. China’s currency has been under pressure from uncertainty over the health of the world’s second-largest economy, massive capital outflows and the sharp rise in the dollar following Donald Trump’s election victory and anticipation of US interest rate hikes. Beijing only allows the tightly controlled yuan to rise or fall two percent on either side of the daily fix, to prevent volatility and maintain control over the currency. 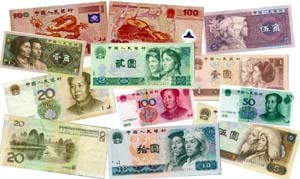 China said last week it would almost double the number of foreign currencies it uses to determine the official value of the yuan, thereby diluting the role of the dollar as authorities seek to arrest the yuan’s fall and project an image of stability in the unit. In markets, Toyota shares dropped more than three percent at one point after US President-elect Trump threatened the carmaker with import taxes over the new vehicle plant. “Build plant in US or pay big border tax,” Trump tweeted of the company’s plans. In a statement issued after the tweet, Toyota said it looked forward to “collaborating with the Trump administration” to serve consumer and industry interests. Shares in the Japanese automaker declined as much as 3.11 percent after the opening bell, later paring losses to close 1.68 percent lower at 6,930 yen. Other automakers also sagged, with Nissan declining 2.20 percent to 1,173 yen and Honda down 1.90 percent to 3,501 yen. Meanwhile, Samsung rose almost two percent on news that it expects profits to soar by nearly 50 percent in the December quarter, as strong memory chip prices push earnings to their highest point in three years despite a smartphone recall fiasco. Brisk sales of memory chips and smartphone screens had been expected to boost the company’s bottom line but the outcome exceeded analyst expectations. Tokyo was slightly down overall as the yen strength weighed on sentiment and following declines on Wall Street. The US currency was trading at 115.85 yen in afternoon trade, up from its earlier low of 115.07 yen, but sharply down from 118.12 yen seen on Wednesday. A stronger yen hurts the profitability of Japan’s major exporters, hitting demand for their shares. Shanghai stocks also closed down less than half a percent, dragged lower by a sell-off in small companies and ending a three-day rising streak. Hong Kong was slightly up at the close. Europe’s main stock markets retreated at the start of trading as investors awaited US jobs data.